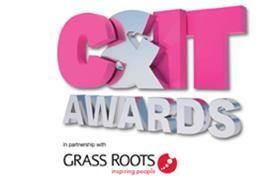 Bacardi Bombay Sapphire, Glaxosmithkline, Vodafone, P&G, Lenovo and Intel are among the brands whose events have been shortlisted for the C&I Business Solution awards in the inaugural C&IT Excellence Awards. The shortlisted entries include a range of events, from workshops and conferences to incentives, but there can only be one winner. Find out which event is crowned winner of the C&I Business Solution category at the C&IT Excellence Awards event, to be held at the Natural History Museum on 4 November.